When I decided to pursue a life of creating art and sharing that art, I had to make a number of adjustment and allowances. I needed to believe that the time I spent sketching or painting randomness was actually time spent nurturing my creativity. After all, if I didn't spend time being creative, how was I to make art and build a business around it. I believe that being creative helps with problem solving, self expression and personal growth. The problem is, our modern day lives which are filled with technology, means we spend most of our free time watching, liking and scrolling rather than doing, exploring and creating. I'm also a firm believer of balance. Balancing our time, our energy and our focus. Our time won't always be balanced, however, we can make an effort to find a better balance. We will have weeks when we find little time to ourselves, or energy for that matter. With small tweaks and a few things to implement from my top 5 tips, you will slowly carve out more time to be creative and help balance all the scrolling, clicking and watching. 1. Make sure you schedule it! Just like you do with your kid's appointments, your trips to the gym, grocery shopping etc. Make time for explorative play-time and commit to doing it! Put it in your calendar, your spouse's calendar, and even create a reminder! Schedule the time to learn a new craft, take a workshop or read a guide book. Whatever is on your creative bucket list, dedicate yourself to it and schedule the time to it. You will be amazed at how much more time you will spend on being creative when you schedule it! My kitchen counter is one of my favourite places to sit at and be creative. 2. Create the physical space for you to be creative in. If you don't have a lot of room in your house, condo, apartment, don't worry. Put everything you need in a drawer, a container or even a tote. That way, everything is handy and ready to go when you are too! When I teach any of my workshops, I make sure that the kit for the class is simple and portable. 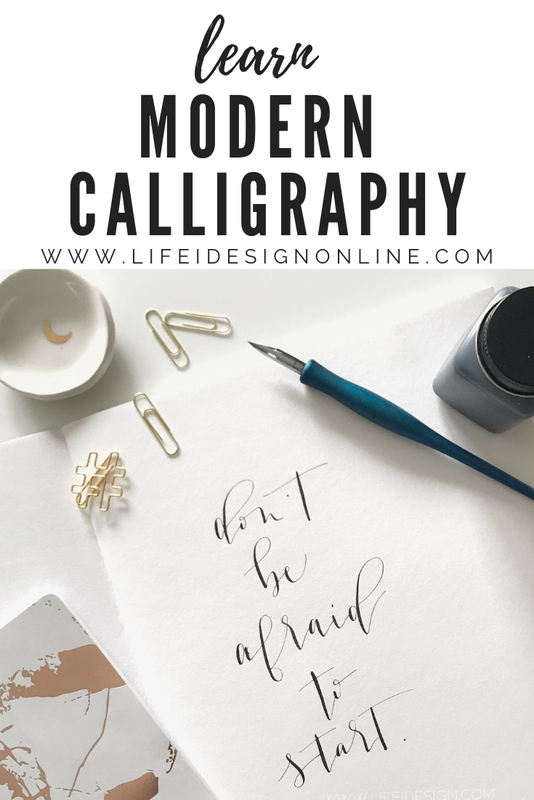 If you want to practice your lettering at your kitchen table, dining room or local coffee shop, you don't need a lot of space to do it in! If you require more room, perhaps explore your local area and see if you can book space to work in, like a shared workshop or co-operative work hub. More on that in tip 4! 3. Let the people you live with know that you need, scratch that, you are, taking some time to yourself. Showing them that you are putting yourself first for that time-frame, will make them understand that what you are doing is important, and you need the time and space to be creative in. When we show ourselves that respect and express how important it is to us, those around us will have no choice but to honour your request and help you create that time and space. Let them know that you can't be interrupted unless it's an emergency and make sure you stick to it! 4. Go somewhere inspiring. Hit your local coffee shop, co-working hub or local library. There are so many new co-operative work environments popping up everywhere, a simple google search will help you find one in your area. A new setting can be both inspiring and a way to be productive. I often find that I do my most productive editing and writing when I'm at my local Starbucks. I'm forced to put my head down and work knowing that I only have as much time as it takes to sip a grande latte! 5. Wake up 30 minutes earlier or go to bed 30 minutes later. For those of us who are busy moms with kids who have a more exciting social calendar than we do, it may be challenging to carve out the time during "regular" hours. So why not try waking up earlier a few days a week, or go to bed later one night a week. I'm an early bird, so I often wake up 30 minutes early, pack the kids lunches and sit at my computer to get through emails or finish up editing. You may be a night owl and find your inspiration when the house is dark and quiet. Whatever speaks to you, find that time and use it! Find a friend who is looking to be more creative and invite them to join you, share space with you or to take a class with you! Make it social, productive, creative time. You'll have more fun and will take it more seriously since you won't want to let your friend down! Hold each other accountable and make the reward be whatever you are hoping to create or achieve! I hope you've been inspired by this post and have a few tips to take away with you. 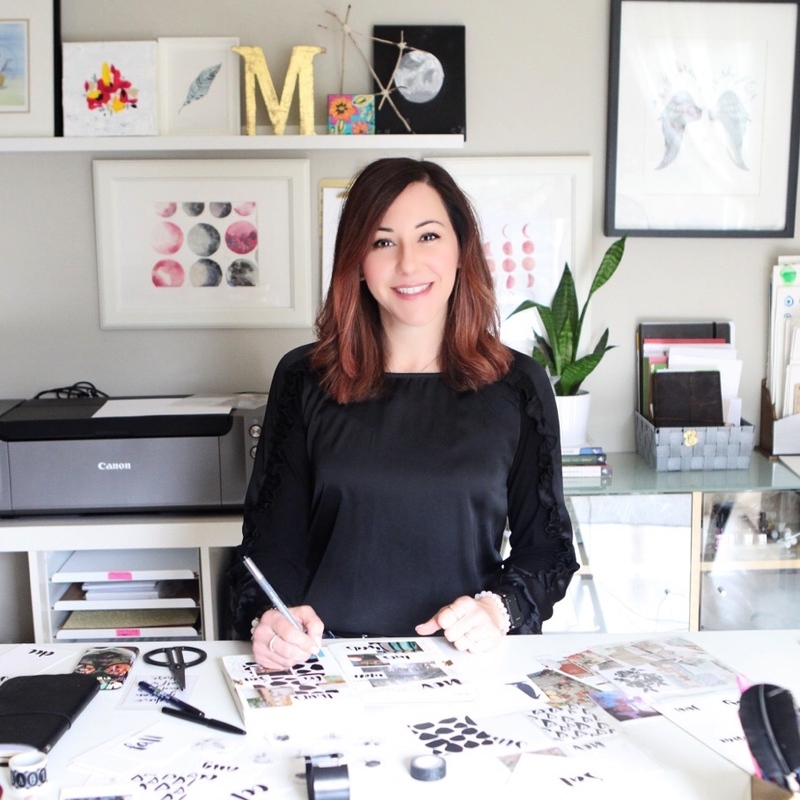 My personal goal is to carve out an extra hour a week to create blog posts around lettering, being creative how to start a creative business and creating inspiring spaces around you! I'd love your feedback on what you're curious about and would love to curate content just for you! 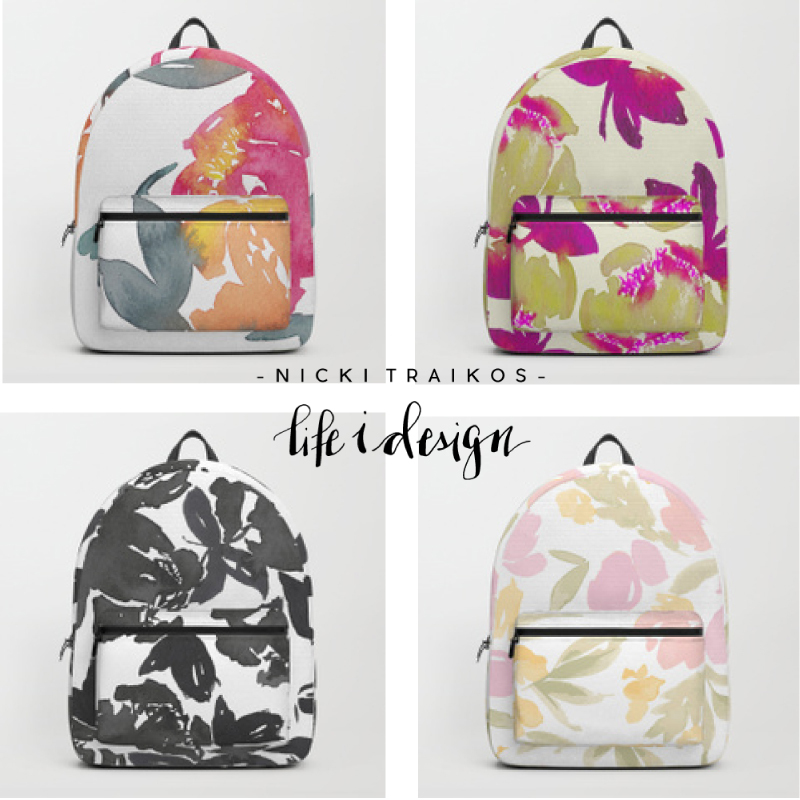 I'm always available via email at nicki@lifeidesign.com. I will most likely reply at 6:30 in the morning with coffee in hand! Here's to being more creative!